and feel to the skincare. their beneficial and aromatic properties. 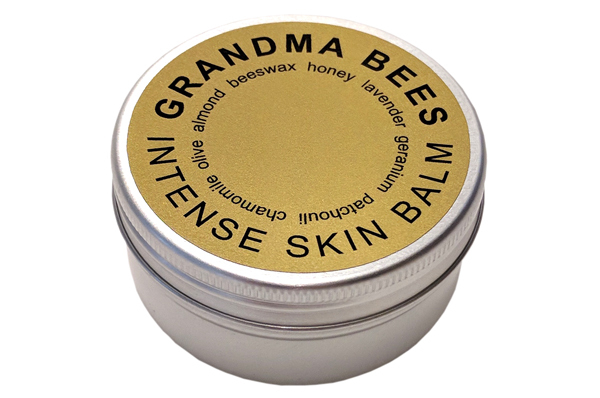 GRANDMA BEES INTENSE SKIN BALM is versatile and a pleasure to use. Face, Lips, Hands, Cuticles, Feet, Hair, etc. Dry and Cracked Skin, Blemishes, Eczema, Psoriasis, Sunburn, Cuts and Grazes, etc. Almond, Olive, Beeswax, Honey, Lavender, Geranium, Patchouli and Chamomile. No water, No parabens, No synthetics, No petroleum. "When my eczema is driving me berserk, it is the only thing that calms it down." "Had the worst chapped lips in the world yesterday, they've healed already." "It's the best. Tried everything for chapped lips. Then 24 hours of Grandma Bees and it's gone." "Cold sores they just heal up and disappear instead of cracking and bleeding." "It has really helped my husband's sore chapped hands." "My nails used to be like tracing paper; split and cracked. But I apply Grandma Bees Intense Skin Balm regularly and my nails are strengthened; nice and healthy. Nothing else has ever worked." "I've been using the Intense Skin Balm on my tattoos for years now and it's eleventy billion times better than Bepanthen or Tattoo Goo." 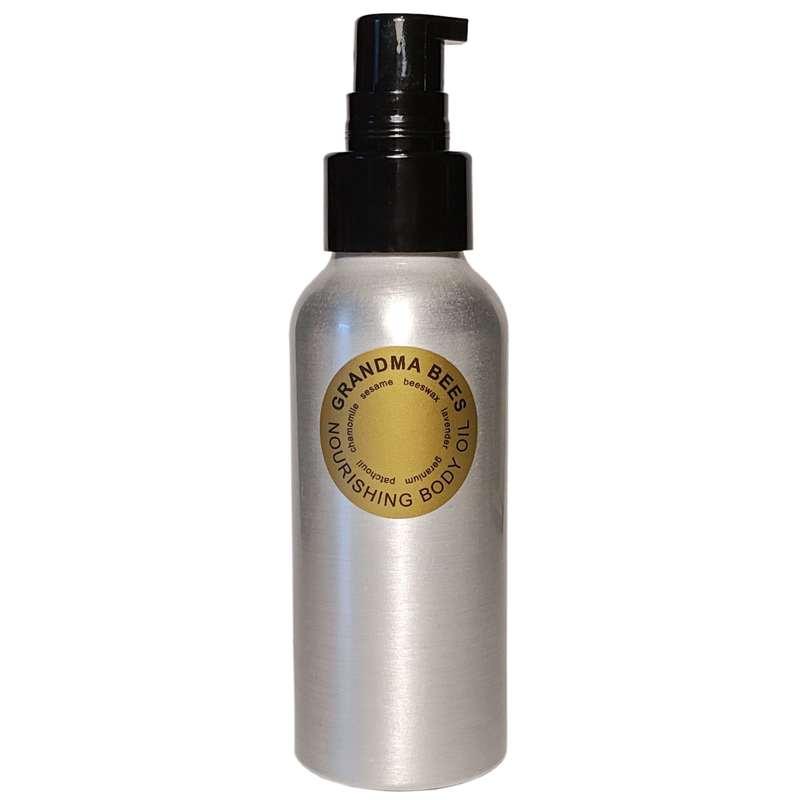 GRANDMA BEES NOURISHING BODY OIL is a luxurious dry oil, rich in antioxidants, vitamins and minerals. Body, Face, Massage, Bath, etc. Sesame, Beeswax, Lavender, Geranium, Patchouli and Chamomile.